On Wednesday [8 April 2015], a nun set herself on fire to protest against the occupation of Tibet by China. According to the International Campaign for Tibet, Ms Yeshi Kando was the 138th Tibetan to set herself on fire since 2009. 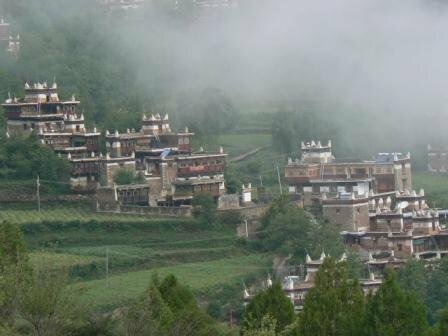 On Wednesday, a nun set herself on fire in a Tibetan area of Western China, the New York Times reports. The nun's death could not be confirmed, because police took her away after extinguishing the flames. Two pro-Tibet advocacy groups that spoke to people in the area believe that the nun, Yeshi Khando, died, the Times reports. According to the International Campaign for Tibet, Khando was the second woman to set herself on fire this year and the 138th Tibetan to do so since 2009 in Tibetan areas of China. According to Agence France-Press, People's Daily—the official party newspaper—published an article on Wednesday by party chief Chen Quanguo encouraging Tibetan monks and nuns to "educate themselves in patriotism" and to "feel the warmth and care of the party and the government."